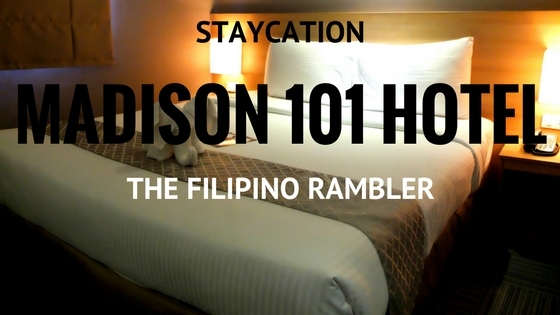 There's a new hotel located conveniently at Gilmore, Quezon City called Madison 101 Hotel + Tower - one of the best place to stay if you want to indulge yourself. 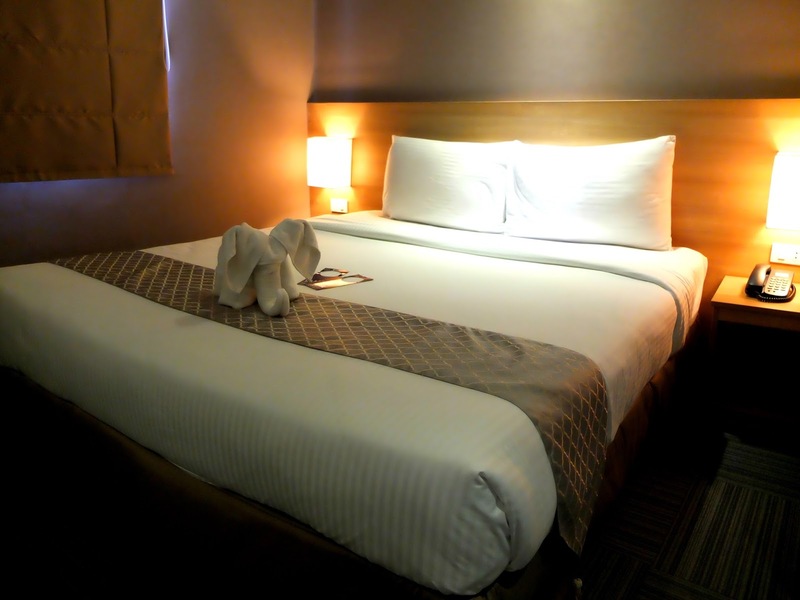 The hotel is just 5 minutes walk from Gilmore Station of LRT 2. It was a weekend and I had the opportunity to spent over night at this lovely hotel. A vibrant lobby welcomed me. Sofas in black and yellow chairs and ottoman tables give style and versatility in this area. The hanging lamps were a cute accent too. I got a King Deluxe Room at the 9th floor. The room smells fragrant as I opened the door. The floors are carpeted and wooden furniture adorn the room. A queen size bed with fresh, white cotton sheets was like a magnet- I know I'm in for a great sleep. My room is equipped with a cable TV, complimentary coffee and bottled water, a telephone, ref, and free internet access. As a blogger, it is important to always get a fast and stable internet connection and theirs never failed! Aprub! The work space was enough to fit my laptop and other things, and I love how the room has so many electric sockets. Perfect! The toilet and bath was immaculate. It has a glass shower and it has great water pressure- it totally left me feeling refreshed and renewed. Being at the 9th floor, I have a nice view of the skyline of San Juan and Quezon City. Madison 101 Hotel + Tower has 4 single superior rooms, 20 double deluxe rooms, 6 king deluxe rooms, 2 family rooms, 2 premiere suite and 1 presidential suite. Function rooms for different occasions and conferences/ seminars are also available. There's a cafeteria and a coffee shop. Laundry shop, a pharmacy, payment center, bank, salon and photocopy center are some of the amenities of the hotel. 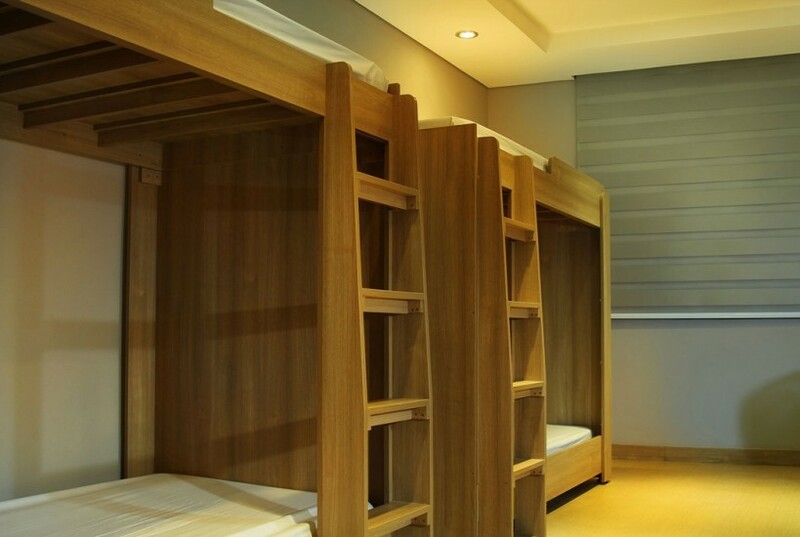 There are also dormitory style rooms available for as low as P4,500 per person per month. If I'm still a student and could afford it, I would want to stay here! I love that this hotel is very accessible via LRT. Malls were nearby- we even sneaked out during the night to watch a movie. It is one of my more recommended place for the budget conscious. 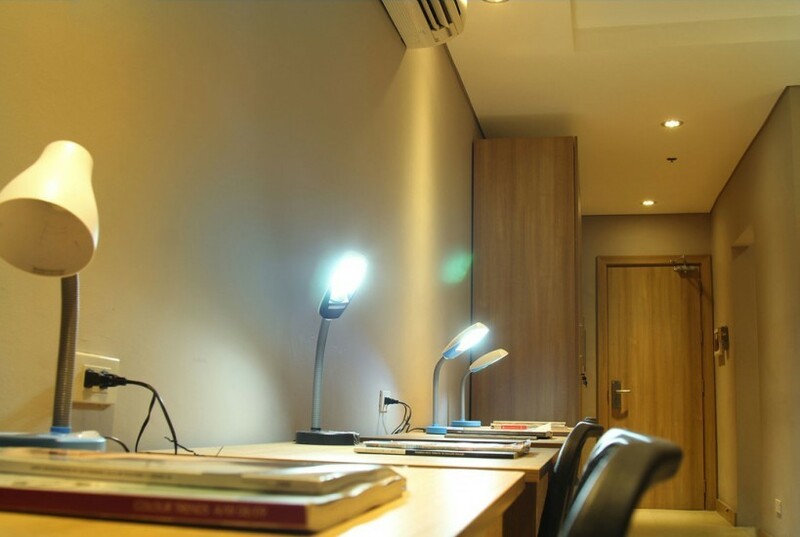 Businessmen and students alike will surely find this a comfortable abode. With all the amenities this hotel has, one doesn't have to leave the place. Plans of putting up a swimming pool and a gym are underway- oh I can't wait to be back when it happens. I had a great staycation at Madison 101 Hotel- warm service, comfortable room, convenient location, nice food, great amenities. Madison 101 Hotel gave a new meaning to leisure and business combined.